The Best California Cannabis Tours and Educational Experiences of Sonoma Cannabis Culture. Get Up Close to Cannabis Plants! Do You have a Group, Party or Event? If you have a Group, Party or Event of four (4) or more please call 707-386-9859 for Special Pricing Options! We offer the highest rated Sonoma Marijuana Tours and we can run a Private Tour for as few as Four (with advance notice). 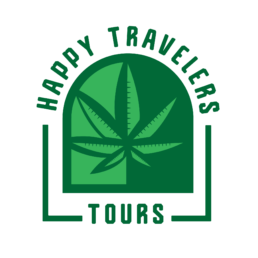 Our California Cannabis Tours include 420 Friendly Hotel Partners and we’re more than happy to refer you! Contact us at: [email protected] or call 707-386-9859 for more information. Calling all Brides and Wedding Planners – here are some Bachelorette Party Ideas! Our Sonoma Marijuana Tour gives you the best cannabis educational experience featuring: the growing process, harvesting, plant processing and use as alternative medicine. Please view the message from our Founder! A highlight of our trip to California and the United States. We enjoyed it very much! Book now for the premier Cannabis educational experience in Sonoma County’s Wine Country.